Official casting news continues to be scarce as we draw closer to the anticipated start of filming for Harry Potter and the Half-Blood Prince film in a few weeks, but now we have a rumor tonight regarding a possible candidate for the role of young Tom Riddle. 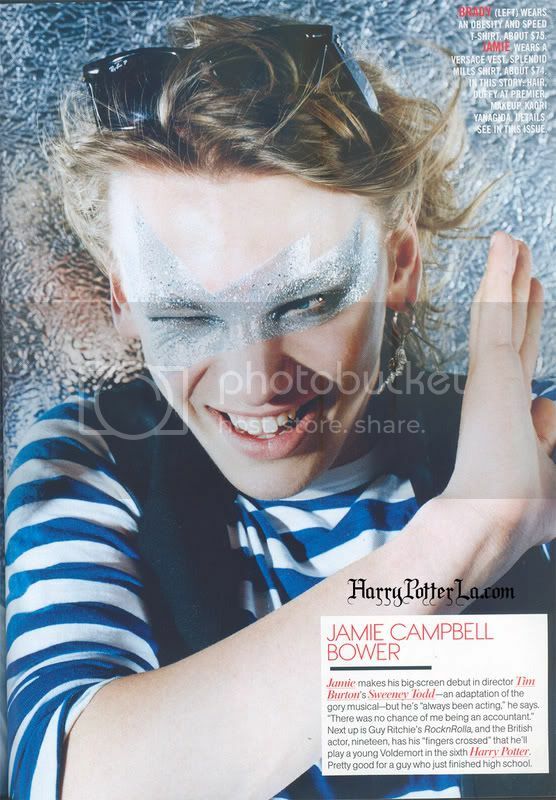 An article in the new issue of “Teen Vogue” magazine features a young actor by the name of Jamie Campbell Bower, and mentions that the actor “has his fingers crossed” he will play the role of young Voldemort. 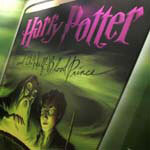 You can see a scan of this article here courtesy of HarryPotterla. Please note, this mention does not confirm the actor has the part, but it is the first name we have heard in conjunction for this role as readers will remember there was an open casting call for the part of young Tom Riddle earlier this summer in London. Jamie Campbell Bower will be seen later this fall in the highly-anticipated film “Sweeney Todd,” which features several actors from the Harry Potter films including Alan Rickman (Severus Snape), Helena Bonham Carter (Bellatrix Lestrange) and Timothy Spall (Peter Pettigrew). As always with these reports, please keep them in the rumor category until we receive official confirmation from Warner Brothers.